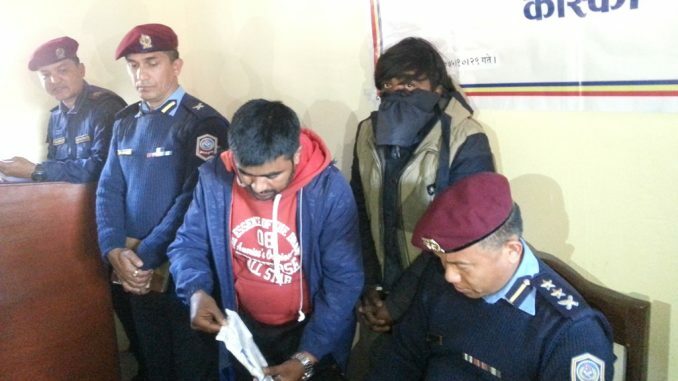 Accused Kumar Garbuja in black mask during a press meet organized at DPO Kaski on Tuesday. Pokhara–District Police Office Kaski has marched Kumar Garbuja aka Beni Kale, 21 of Mallaj Parbat, who has been living in Lakeside- Pokhara and is the alleged murderer of Sachin Sinjali aka Gore, 14, of Rambapani Rural Municipality of Palpa. Sinjali who had been living at Shantinagar of Lakeside with his father Jeet Bahadur, was found dead inside the ground floor of under-constructing house in street number 17 of Khahare- Lakeside of Pokhara Metropolitan- 6 on Monday night. They seem like street boys. Organizing a press meet in Pokhara on Tuesday, DPO Kaski Chief SP Om Rana claimed that the accused has accepted the crime. 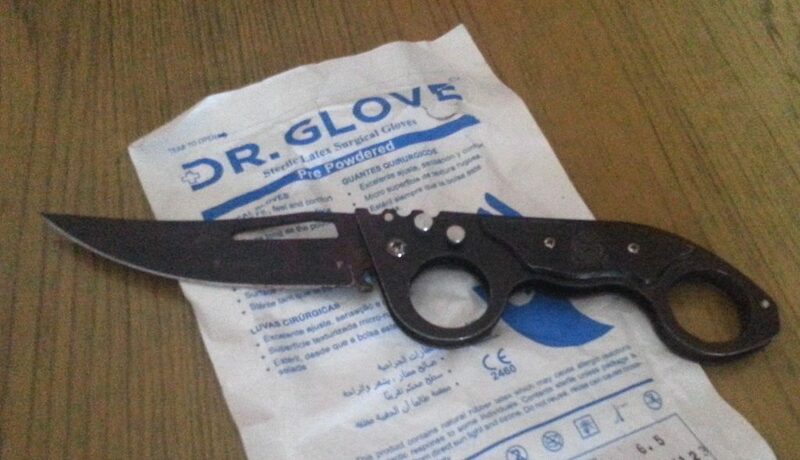 According to SP Rana, Garbuja attacked in Sinjali’s neck with a small knife as they were quarreling over an issue of a teenager girl called Sunita Gurung, 15, who is said to be a girlfriend of Garbuja. The dispute began as both of them were consuming alcohol. It has been said that first Sinjali attacked Garbuja in latter’s leg and made wounded. Then Garbuja suddenly took that knife and counter attacked Sinjali. During the attack, Garbuja stabbed in Sinjali’s stomach and back after crushing his neck at around 12.45 am. Then Garbuja ran away to Prithvi Chowk reserving a taxi. After that Garbuja buried that knife reaching near to Shantiban Batika at Buspark area but again returned back to incident site in a taxi. Police had knew about the incident at mid night but arrested Garbuja this morning from Lakeside. Ward Police Office Baidam Chief DSP Nabin Karki led police team is investigating the incident. Before the incident, victim Sinjali, prime accused Garbuja, their friends Sushant Pariyar aka mote, Suka Dev and Ms Sunita Gurung aka Dalli had drank alcohol on that ground floor at around 4 pm. Then they had gone out to have more alcohol at around 7 pm. And, they returned back to their shelter at 9 pm again and started to sniff dendrite gum. At the same time, Sinjali started to chitchat with Sunita and proposed her for marriage which irritated Garbuja but Gurung went to Prithvi Chowk to sleep at 10.30 pm. Rest went out to beg some money. Again they came back to their shelter and started to have more alcohol, asking two children to have sleep. But the matter of Sunita came again and the incident took place.